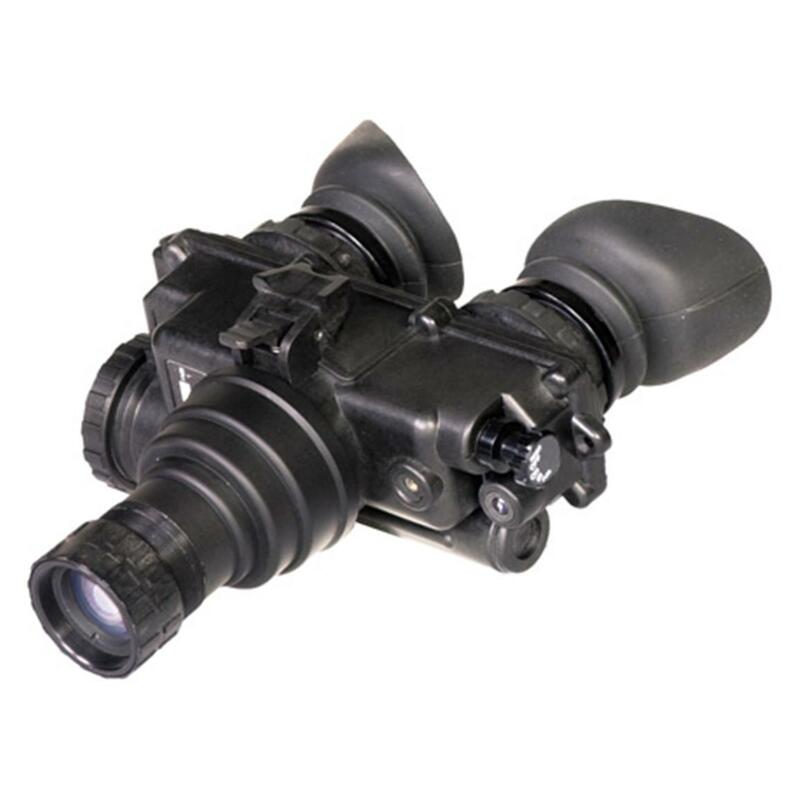 ATN® PVS7-WPT Night Vision Goggles give you mil. spec. durability with White Phosphor Technology® for clean, sharp black-and-white nighttime imaging. Identical to the Army-adopted AN / PVS-7 model issued to ground troops! This super-tough, ultra-rugged PVS7-WPT unit is designed for reliable service in the most unfavorable conditions with a full mil. spec. body and goggle assembly, demist shield and sacrificial filter for objective lenses. Black-and-white imaging provides cleaner, less-distorted shapes and shadows, and delivers better contrast and depth perception compared to standard green phosphor. Built-in IR light source for close-up illumination in complete darkness. Approx. 6" x 3" x 6" and 24 ozs.